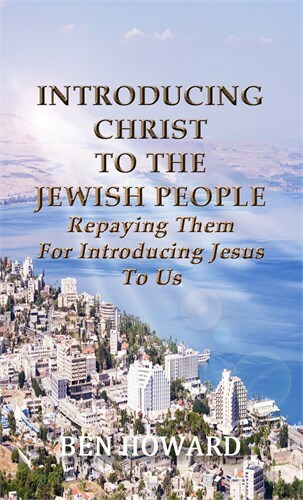 In this book entitled, Introducing Christ to the Jewish People: Repaying Them for Introducing Jesus to Us, w e read in 1 Thessalonians 4:15-17 where Paul spoke of the coming of the Lord and it was from an entirely different viewpoint than what Peter presented in Acts, Chapter 3. Paul said in 1 Thessalonians 4:16-17, “For the Lord himself shall descend from heaven with a shout, with the voice of the archangel, and with the trump of God; and the dead in Christ shall rise first: Then we which are alive and remain shall be caught up together with them in the clouds, to meet the Lord in the air: and so shall we ever be with the Lord.” That’s the rapture, where the living saints (we which are alive and remain) will be changed into glorification without going by the way of death. This takes place immediately after the dead saints that are part of the wife are resurrected; then together we will be caught up to meet the Lord in the air. Nowhere did Peter or the other apostles to the Jewish people speak of being caught up to meet the Lord in the air. They spoke about the Lord coming back to start His Kingdom, which He will. But there was something hid in God that only Paul revealed unto the body of Christ to those from both the Jews and the Gentiles that would be in the resurrection to be a part of the wife. Paul said, “This is a mystery that God made known to me, the mystery which was hid from the foundation of the world.” And for the body of Christ in our day we find where Christ came back to earth not as the person of the Lord Jesus Christ, although He is coming that way later, but first He comes in the fullness of His Spirit and we are baptized into Him as His wife. (Revelation, Chapter 10) Now this part of the gospel was not preached to the nation of Israel in the fullness that is seen in Revelation, Chapter 10, and Ephesians 4:13-16. Paul only prophesied about it. Neither did the Gentiles have it in its fullness until now. Although Paul did tell them about the waterless baptism at that time; and in doing so he was giving the virgin the Word for that hour which would baptize them into the body of Christ. This was all that was available in the first leg of the spiritual coming that was laid in Paul’s foundation. This brings together those that have gone on before us with the living part of the body of Christ as we all receive the fullness of both legs of the spiritual coming as seen in Revelation, Chapter 10. Please keep in mind that this did not take place in its fullness in Paul’s day. And now God has made known to the wife (we which are alive and remain) these secrets that have been hid in God since the foundation of the world. And now is the time for this gospel to go forth by the sounding of this last trumpet. For further enlightenment, please feel free to read the book showing the moving of God's Spirit in this hour.